It is about four years ago I met Diederik Nomden for the first time when he played a support show for The Maureens. One man, a guitar or electric piano. Immediately I liked his voice and his songs. Unbeknownst, perhaps to us both even, I had no idea what direction his career would take. Being a part of The Analogues and later Her Majesty his own music was put on the back-burner, he but rose to national, even international fame and became a regular on TV programs and in documentaries. Come 2019 and here is his second solo album after releasing 'Royal Parks' in 2012. A little but oh so nice surprise released in March. The first listening session wasn't an easy one, I noticed. Wingman Returns is so serious and stylised. In that it reminded me of 70s singer-songwriter albums like James Taylor and Christopher Cross. Also Diederik Nomden's voice has clearly some more mileage on it than in 2015. Of course this is not the whole story. Being a fan, I took a second helping and a third. All sorts of influences started to reveal itself. The bottom line is, Diederik Nomden is a songsmith. Nothing is left to chance here. The songs are meticulously worked out in every detail. Song by song Wingman Returns reveals the beauty contained on it. By then it became clear why it is harder to immediately like Wingman Returns. 'Royal Parks' contained several true pop songs, sparkling and easy to sing along to. (With a lot of electric guitar and loud drums.) That album was much closer to his alternative rock roots while playing e.g. in Johan. Not so Nomden's new album. He delves deeper and certainly has become less predictable. Paul McCartney as in his 'Eleanor Rigby' side or 'My Love' is in here, but also Paul Simon in his 70s songs. Even some Elton John like e.g. 'Your Song'. Many songs have a piano as a starting point, making the sound of a song and a lot of the album different. So there's no instant hit like 'She' here. 'I Do' comes closest, I guess. (Besides being the new song Tim Christensen is not releasing since 2012.) Instead we are presented 'Carolina'. Piano and strings, a soft, bittersweet song, oh so serious. "I'm sure relief is coming soon", but not just yet and that can be heard in the vocal melody and tone expression. Opening the album with 'Swim ashore' Nomden sets the mood in a beautiful way. The song is serious, has a serious topic, but is a pop gem. The first real highlight is 'Not The Only One'. The kind of melancholy that can be found in several The Beatles songs. 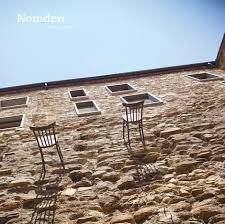 Nomden captures that, strings and all, without having to overdo anything. All is underscored and under cooled, yet so perfect. In 'Motel Blues' a pedal steel guitar enters the sound, giving the song a country flavour. It is this variety that gives Wingman Returns its little extras. Like the honky tonk piano solo. The sparks that make the album fly. Wingman Returns is not a happy album. I can imagine Diederik Nomden working on it with a tear in his eye every once in a while. Going the whole way and drawing the best out of himself, seeking the path towards redemption. Mission succeeded. It's four years ago Diederik told me he was working on new songs. Whether any of those songs made it to Wingman Returns, I have no way of knowing. What I do know, is that Wingman Returns is an album very much worthwhile listening to. Yes, later this year I will be at the Ziggo Dome again, somewhere high up, enjoying every note of 'Abbey Road'. In the meantime this is an album that I will be playing regularly. It is beauty. Wingman Returns is an album's album full of songs that make an album a potential classic. Just listen to 'For Your Sundays', this is a song containing it all. It is not an easy song, yet it seems to flow so effortlessly. There are no instant sparkles, yet look for them and you will find them in abundance. A beautiful ending to a beautiful album.